DOD IT Solutions adds differentiation to client business by providing e-business and e-commerce solutions. We have helped corporations within and across the boundaries by launching successful e-commerce and e-business solutions. If you intend to sell a product or offer a subscription service from your website, our ecommerce website developers will create an online ecommerce system tailored specifically to meet your requirements.In an e-business system, you need an online shopping cart system and integrate a secure online payment system. We offer our clients a fully customized and secure shopping cart system to sell their wide range of products within few clicks. 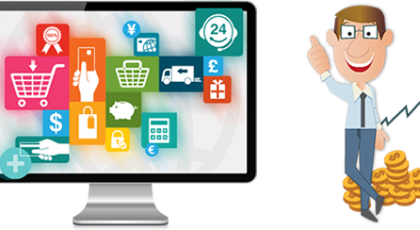 If you want further information about our ecommerce business solutions, please Contact us and we will get back to you with a complete solution that fully meets your requirement.